Thank you for doing this, it’s awesome! Interesting. I was expecting Dog Soldiers (because it’s set in Scotland) or something with pyrokenisis (and hence burns). 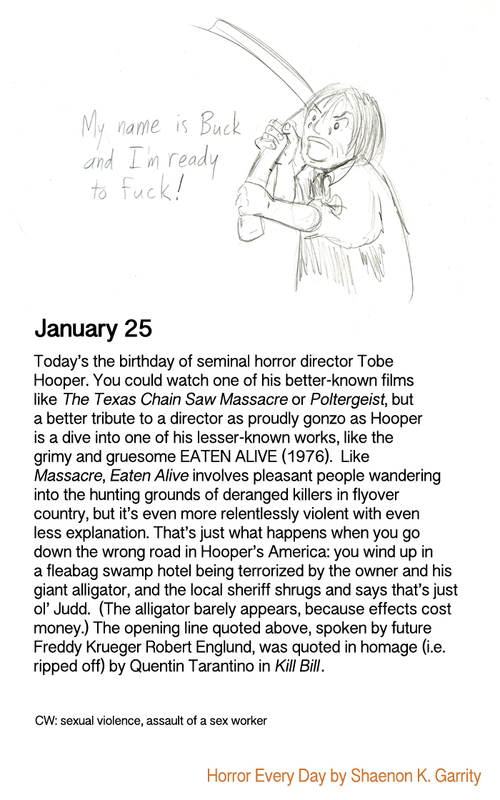 But if Rabbie shares his birthday with an actual horror director, that makes more sense.